Take a Test Drive with Jason Lanier Photography! 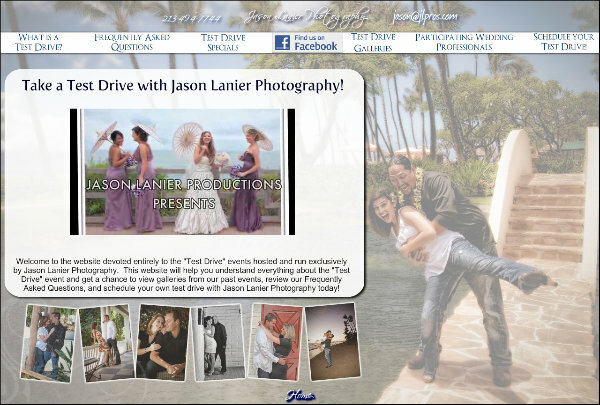 Welcome to the website devoted entirely to the "Test Drive" events hosted and run exclusively by Jason Lanier Photography. This website will help you understand everything about the "Test Drive" event and get a chance to view galleries from our past events, review our Frequently Asked Questions, and schedule your own test drive with Jason Lanier Photography today!